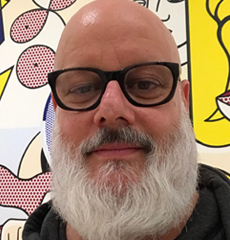 Steve Quester is a white, Jewish, queer, cisgender early childhood educator with 28 years in New York’s public schools, from which he retired in 2018. The Undoing Racism Workshop of the People’s Institute for Survival and Beyond brought him into antiracist pedagogy and organizing. He organizes with PISAB and serves as a Border Crossers trainer, a team lead for Border Crossers’ Racial Justice in Schools initiative, and a facilitator with the CARLE Institute. He is a veteran of the struggles against apartheid, AIDS, and the oppression of Palestinians. He brings radical imperfection to his work as a white antiracist educator.